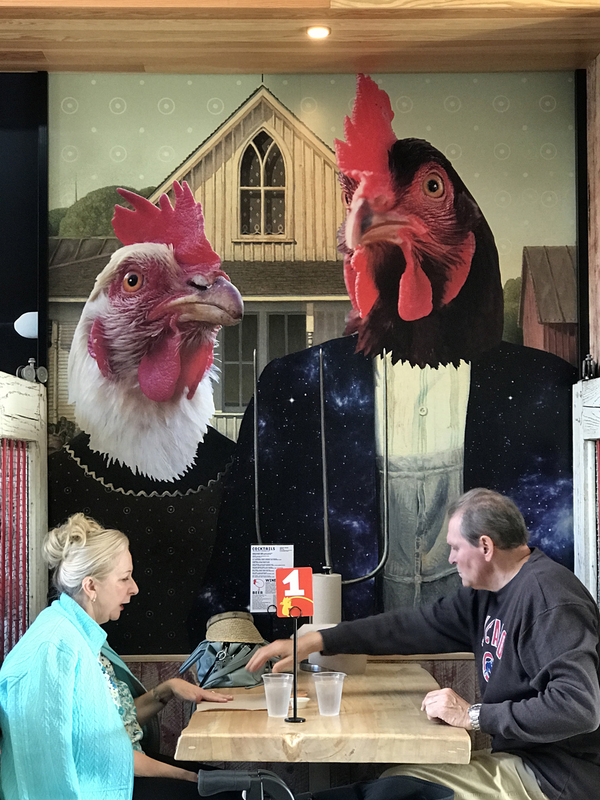 It is not your average restaurant — and this is not your average chicken. 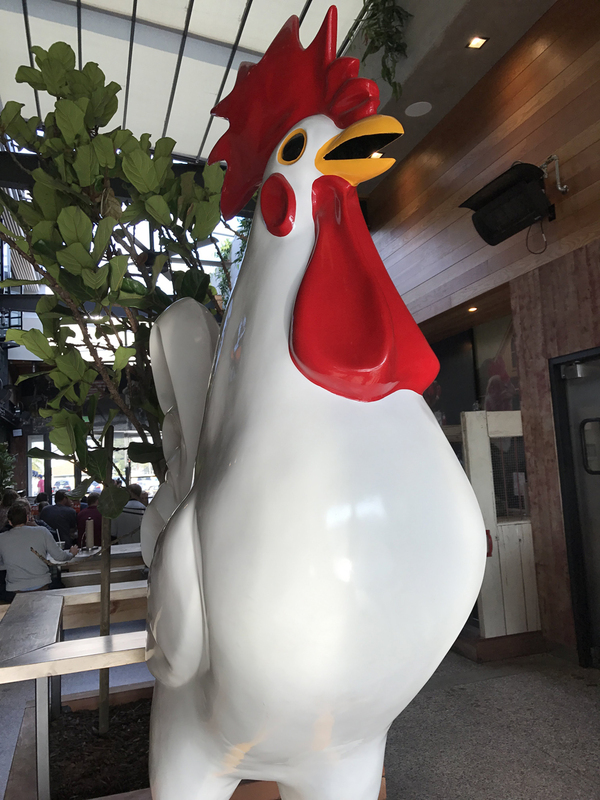 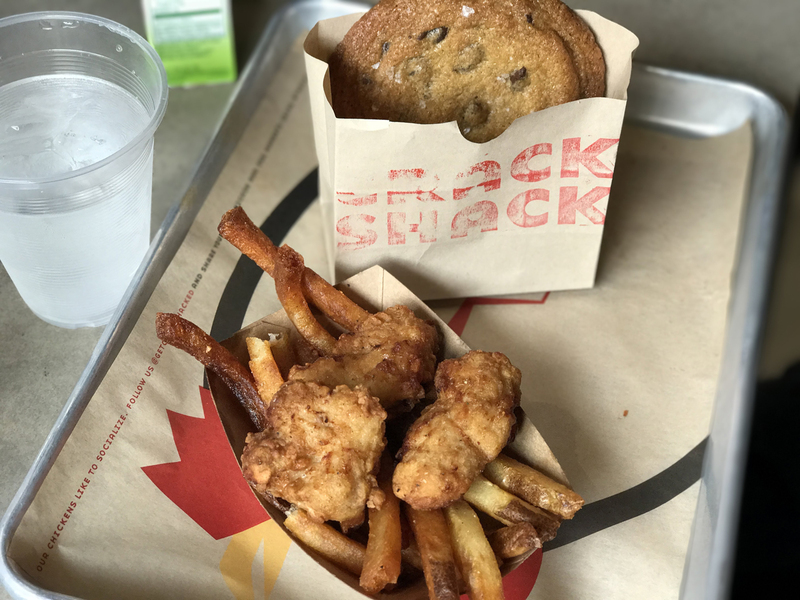 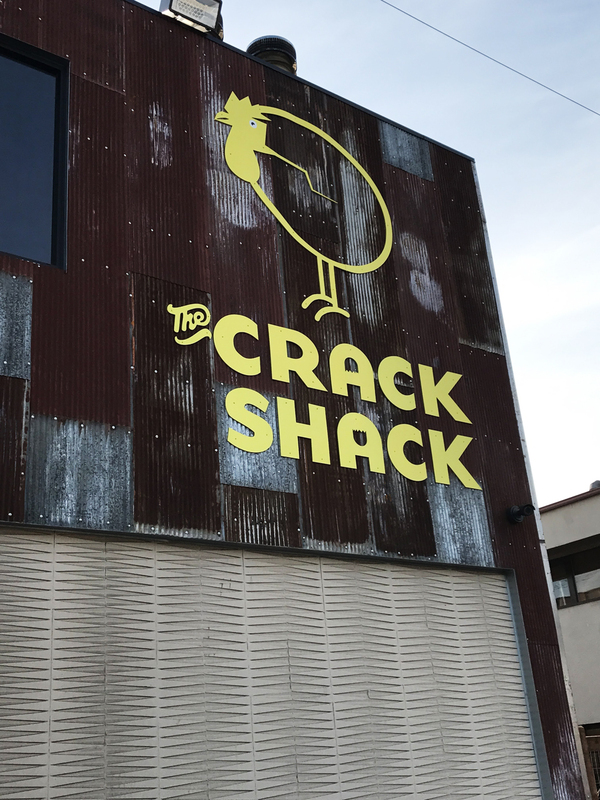 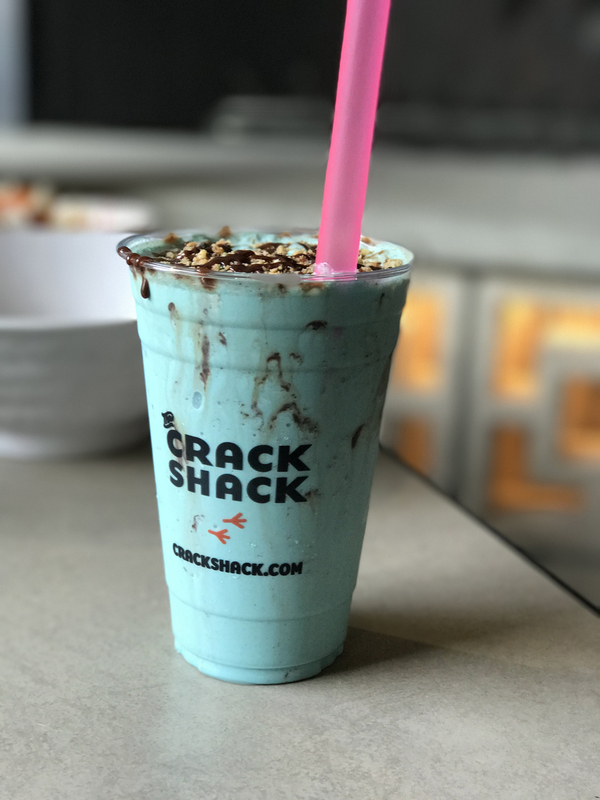 For fans of all things chicken, the wait was finally over last month when The Crack Shack opened in Costa Mesa. 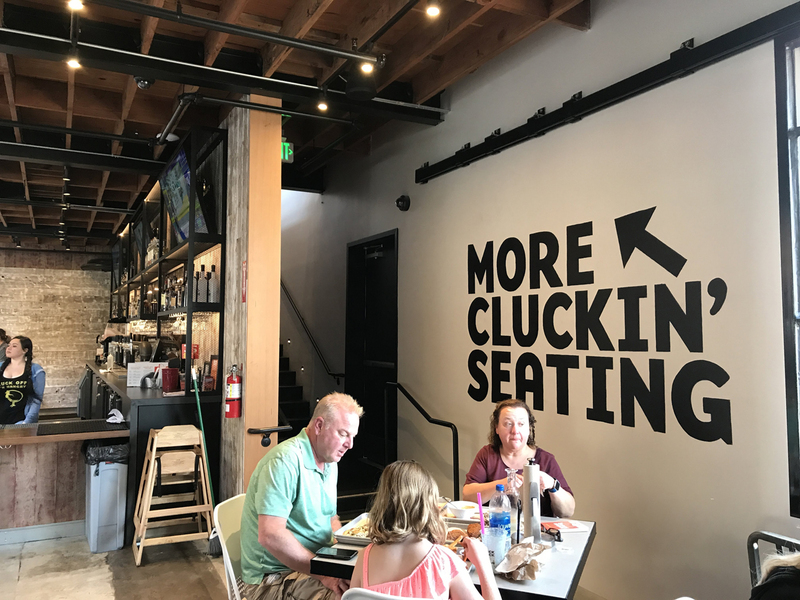 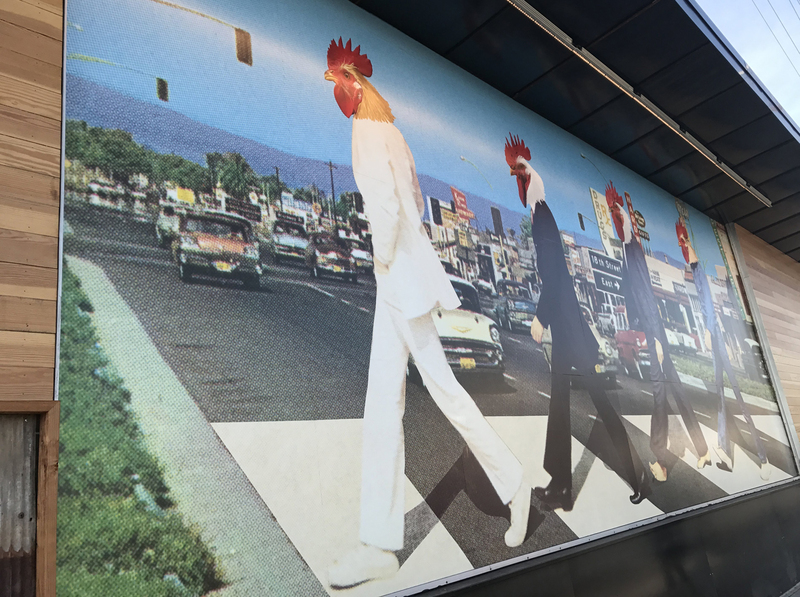 The much anticipated chicken eatery comes to Orange County thanks to restaurateur Michael Rosen and Chef Richard Blais, of Top Chef fame. 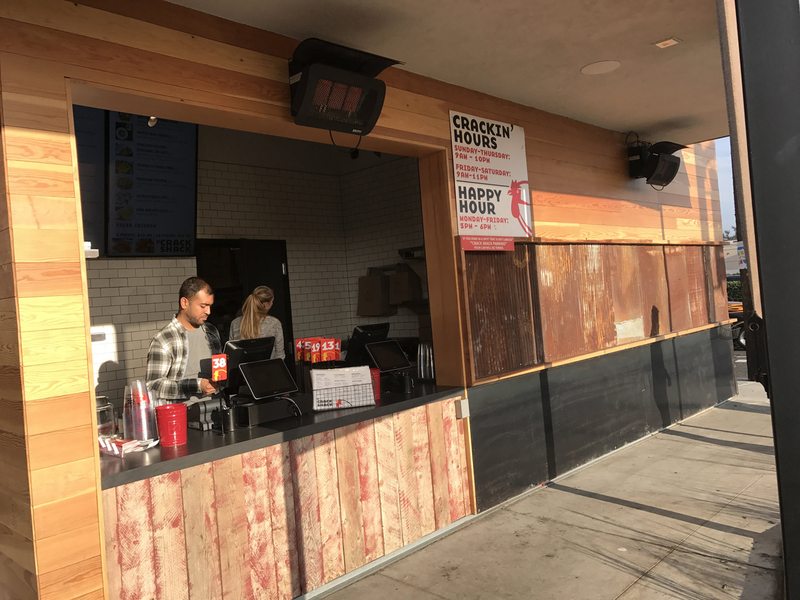 With already established locations in San Diego and Encitas, the O.C. 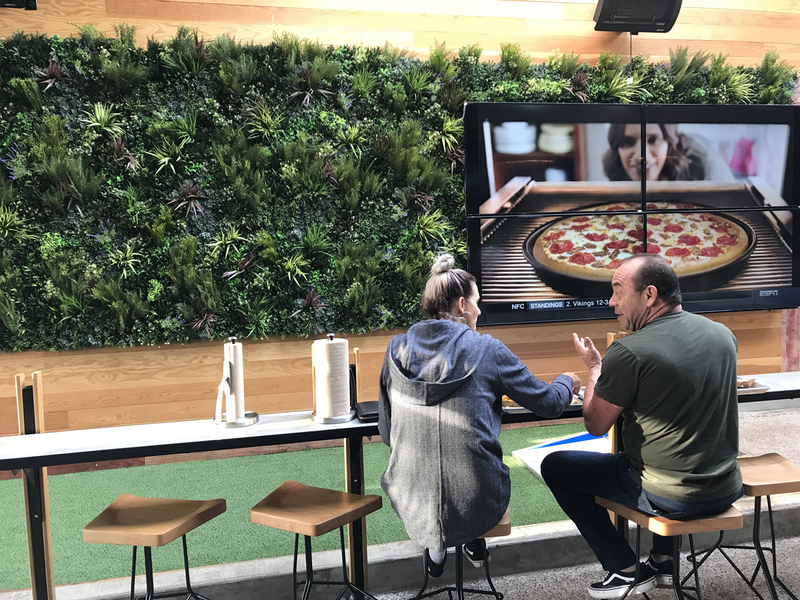 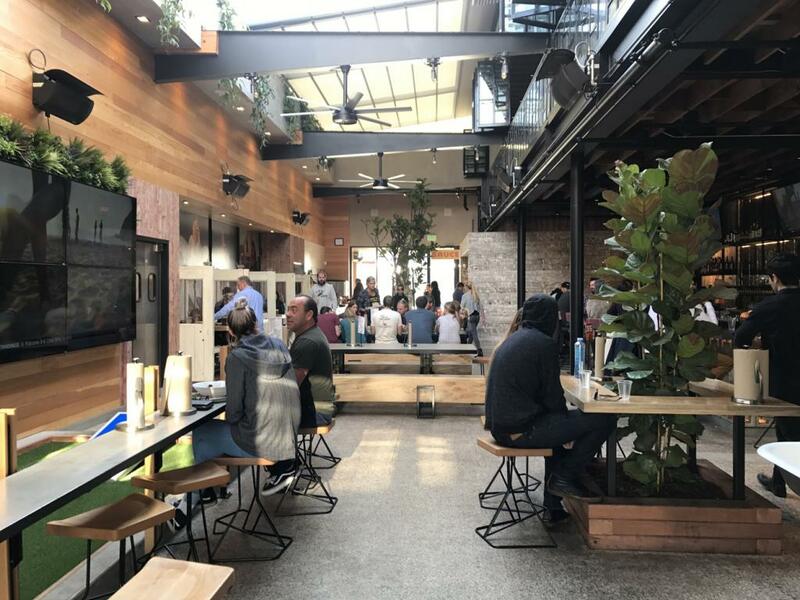 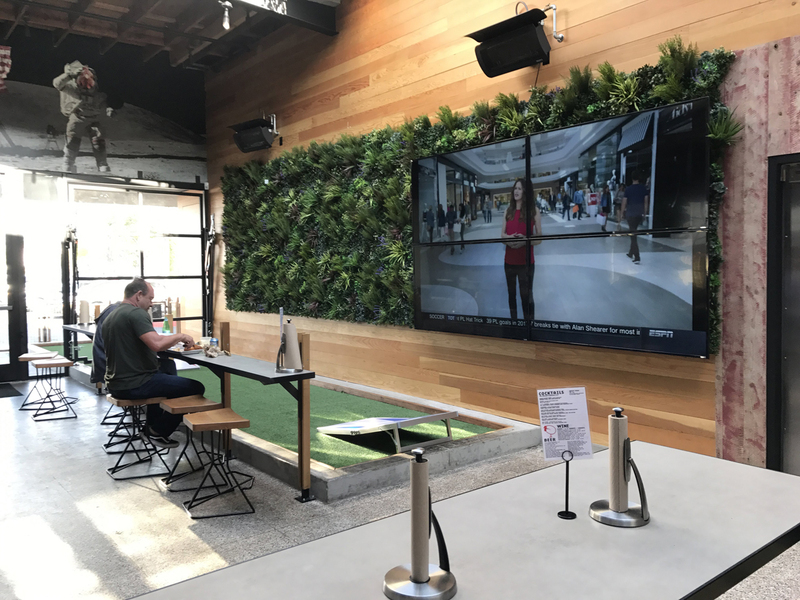 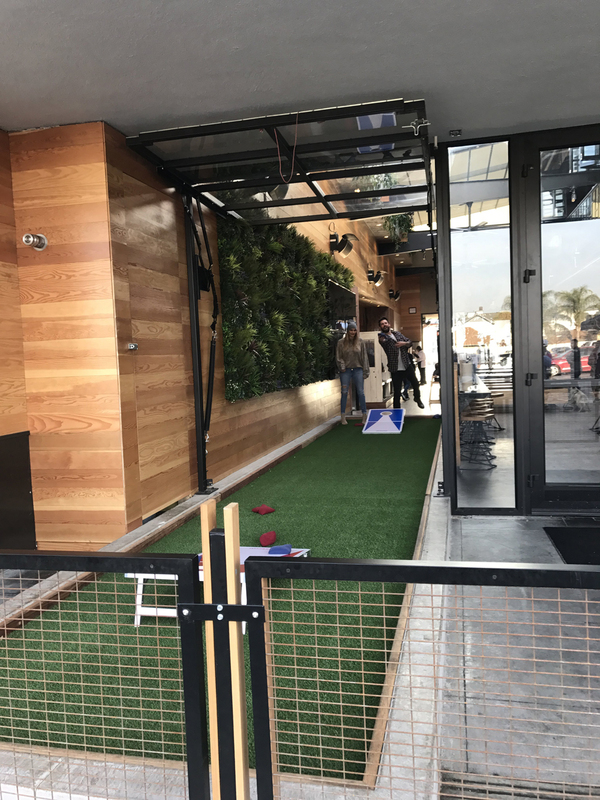 spot on 17th Street becomes the third installment with a fourth one expected to open in Century City this spring. 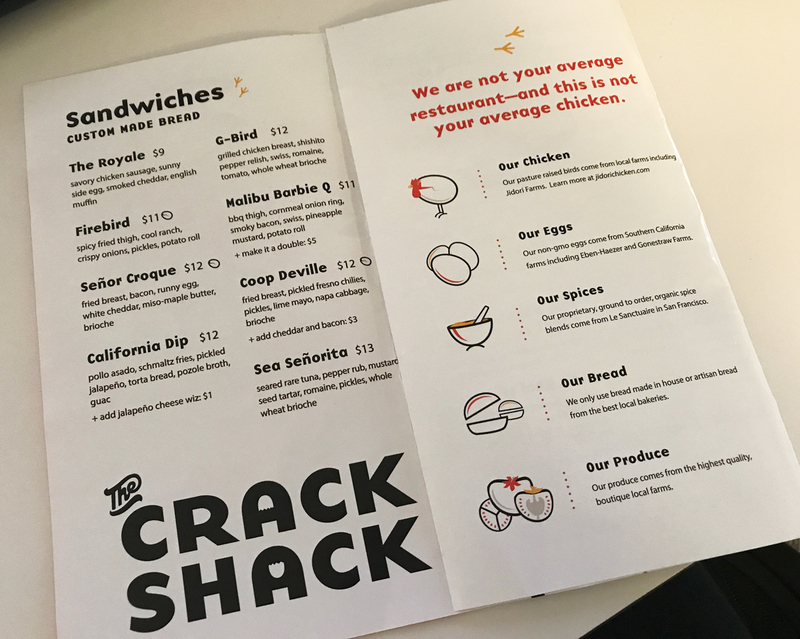 At The Crack Shack, the emphasis is on elevating chicken and the egg as a culinary treat. 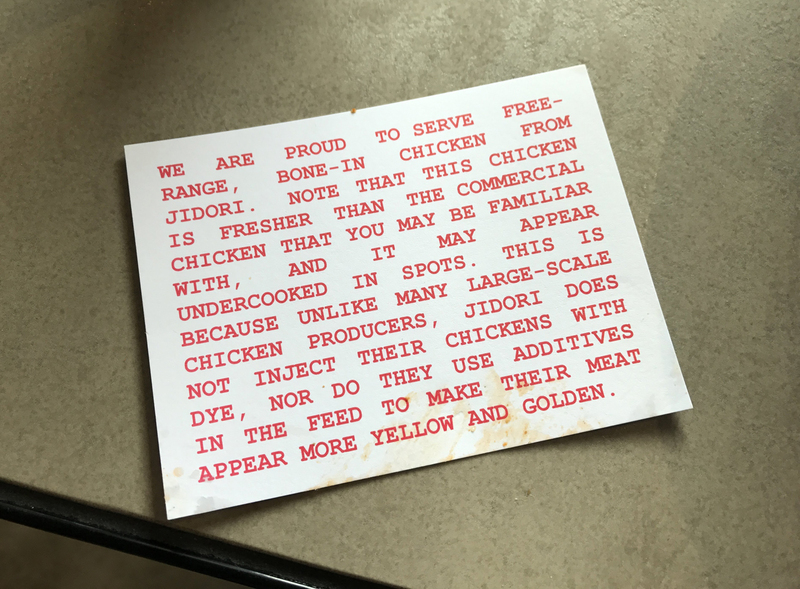 The concept being that chicken which is often thought of as ordinary and boring can be everything but that. 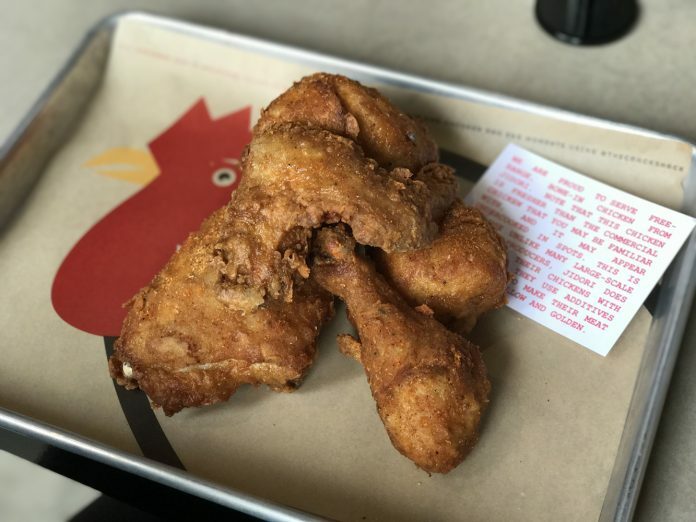 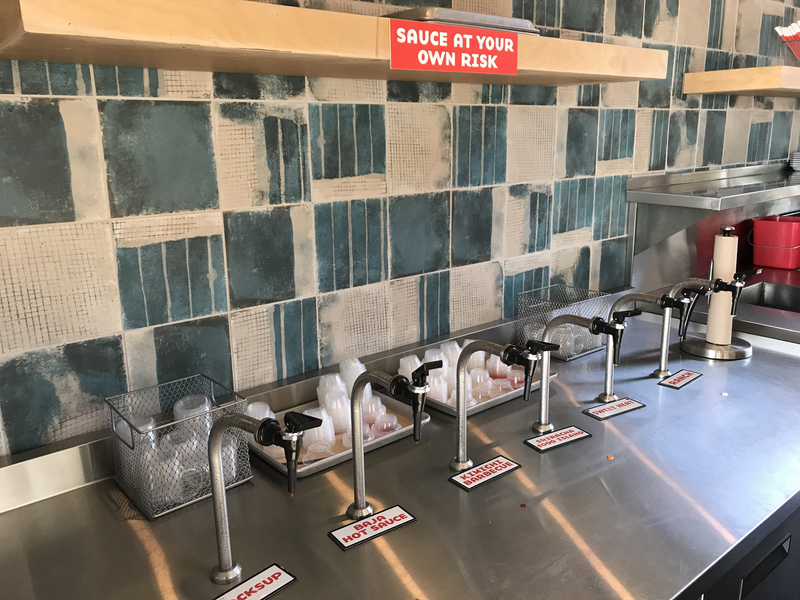 This is evident in the thoughtful use of herbs and spices in the deliciously juicy and tender fried chicken dishes, sandwiches and sides as well as the commitment to using locally raised, free-living chickens without antibiotics. 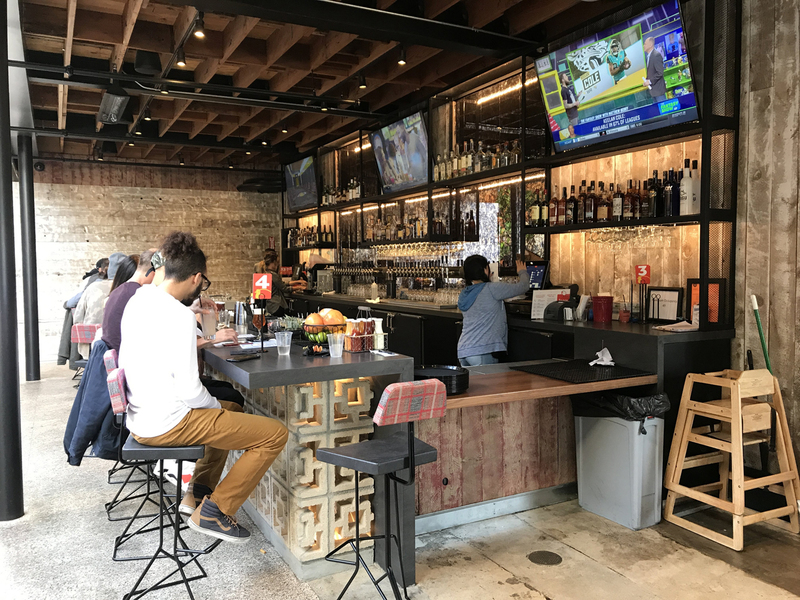 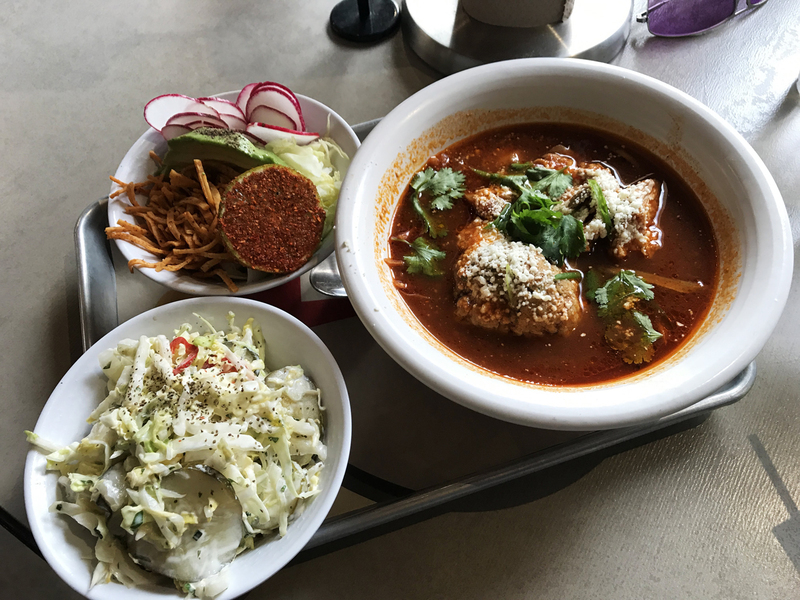 Deviled eggs are addicting with french toast crumble and candied bacon and the Matzo ball pozole is a creative and masterful balance of flavors in a hearty bowl of broth, braised chicken, lime, schmaltz and fixins’. 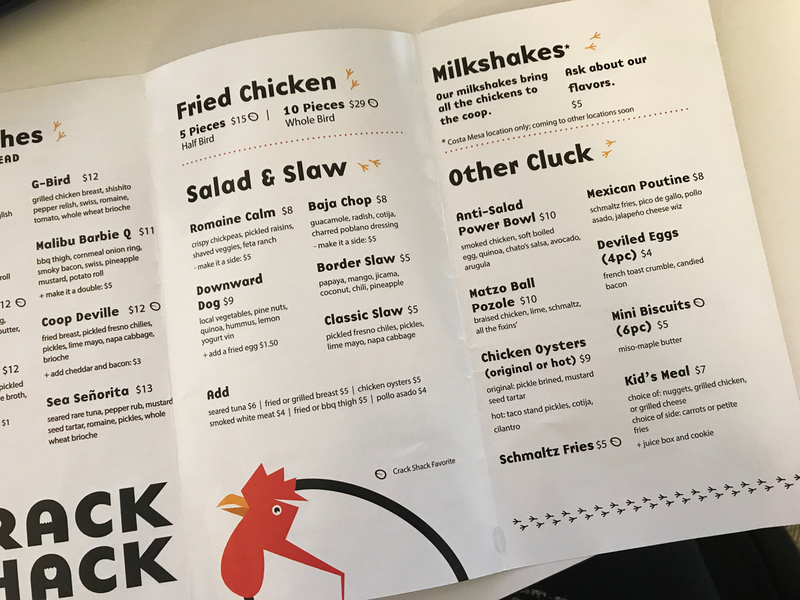 But whatever you do, try the fried chicken.